In the last couple of years, Mother Earth seems to want to shake us off. Devastating earthquakes are changing the landscapes and lives of so many people all over the world, and Mexico is one of the latest countries hit by this natural catastrophe, not once, but four almost consecutive times. In the time of turmoil, both due to natural disasters and political tensions, compassion, and solidarity are definitely the key, so if you’re driven by the urge to help those in need, there’s always a way. So here are some options how you can help the victims of four earthquakes in Mexico, two extremely strong ones and two somewhat weaker, which hit the country in September leaving the death toll of around 300, and leaving thousands of people homeless, not to mention the destruction of infrastructure. 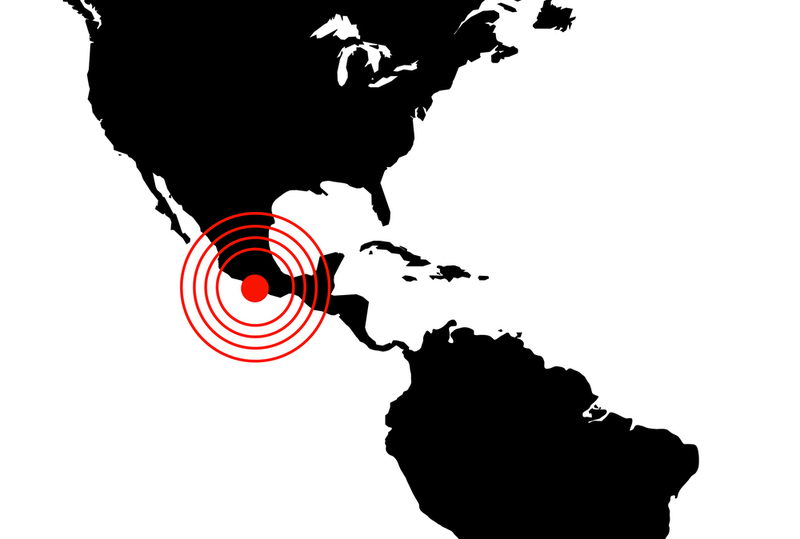 After the earthquakes, Mexican coast near Veracruz has also been hit by the hurricane Katia which caused deadly mudslides, so even though there are so many countries in need these days, Mexico, unfortunately, ranks quite high on the list. This seems to be the easiest way which requires least effort, but can help a lot, or can be the first step of your selfless contribution. Basically, this is something everyone can and should do. First of all, there is this public Google document used to list all the people who have been rescued. There were also posts on social media about open shelters and hospitals. However, since it’s already been some time from the earthquake and the situation has settled a bit, maybe the best thing you could do through social networks is to invite people to help the victims by donations and raise awareness of the need for help. Of course, actions always have a more powerful effect that works, so the best invitation to everyone would be actually donating yourself and setting the example. Whether you choose to send money or supplies, your help will be immensely useful and appreciated. There are so many charity organizations through which you can this. If you opt for supplies, it would be good to ask around what things are most necessary to make sure your donation has the greatest possible impact and purposefulness. However, according to the Mexican Red Cross who had actually set up a wish list of most needed items on Amazon, monetary donations would more useful at the moment. Also, not all charity organizations take both types of donations, so it is maybe easier and more purposeful to send money at this stage. Besides the above mentioned Mexican Red Cross, there are some other organizations through which you can make donations like UNICEF Mexico, UNICEF USA, and also Mexico-born actress Salma Hayek’s own fundraising campaign for UNICEF through CrowdRise. Salma Hayek’s own fundraising campaign for UNICEF through CrowdRise. Crowdfunding sites such as GlobalGiving and GoFundMe which has created a special landing page through which you can donate to groups in Mexico or the above mentioned CrowdRise are also good options to make monetary donations. If you really prefer that, there are still ways to donate supplies, but it’s much easier to do it if you’re already in Central Mexico. There are many non-profit organizations which still need donations such as medicine, batteries, hygienic products, canned food and other. If, however, you’re not there and you feel a really deep urge to help at the very center of events, you can always go to Mexico. This is really a huge step, and not many people will, understandably, be willing to take it, but if you’re truly driven and motivated, you should definitely do it. Familiarize yourself with the road network of Mexico before you go https://mexicaninsurance.com/Blog/mexican-insurance-online-guide-highways-freeways. It would be good to get in touch with some of the above-mentioned organizations or with Brigada de Rescate Topos, a local disaster relief organization established after the great earthquake in Mexico in 1985, who often volunteer themselves in other countries when necessary, but are now most needed at home. If you decide to offer not just money and supplies, but your hand as well, make sure to stay safe, connect with the locals, find a secure place to stay and choose the safest way to get to Mexico. When traveling by plane, make sure to organize a trustworthy transport from the airport, or even better, ask the local volunteering organization to help you with that. If, on the other hand, you decide to go by car, make sure to have the right insurance, because your US insurance doesn’t cover trips abroad. Also, don’t forget about health insurance. In order to be able to help the others, you also have to help yourself first. What is better Roomba or Eufy?